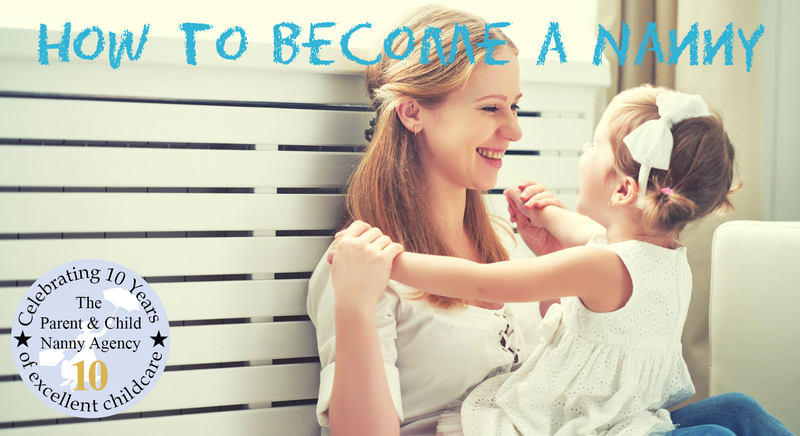 “HOW DO I BECOME A NANNY?” IS A QUESTION WE ARE OFTEN ASKED – IF YOU ARE SERIOUS ABOUT A CAREER AS A NANNY, THERE ARE A FEW THINGS TO CONSIDER. It is preferable to have some degree of childcare related education, whether this is teaching, play-work, child support or formal Nanny and Childcare qualifications. If you do not have any formal childcare qualifications there are plenty of courses out there at college and university level as well as distance learning courses. It is well worth considering all the options to find the right training for you. Experience is essential! Most nannies have started their career in a nursery or play setting where they are fully supported by a team. If you are newly qualified and feel ready to start your new career, why not start by babysitting, take on some temporary work childcare or even volunteer to help at a local childcare setting in order to gain this valuable experience. Once you have gained experience, request a reference and add it to your Nanny Portfolio. When a family are interviewing nannies, it is appealing to know that the person they are considering has the necessary age related experience however big or small. A DBS Enhanced Disclosure is essential to any childcare role. This requires completing some personal information to the disclosure and barring service via an umbrella company or agency. Expect to pay £70 – £80 for this crucial check. The ability and knowledge to practice Paediatric First Aid on an infant is an essential requirement to those working with children. It is crucial that you are confident to deal with any emergency and can recognise and deal with small ailments. This is also a requirement by Ofsted in order to join the Ofsted Voluntary Childcare Register. The course you undertake must by an Ofsted approved 12 hour training course. Expect to pay in the region of £100 for a recognised course. Almost all families seeking a nanny now require an Ofsted registered nanny for the security checking aspect and largely due to the financial savings they may be eligible for. The process of become Ofsted registered is simply but timely – up to 12 weeks. To become Ofsted registered you will need to show proof of educational training or core skills training, Paediatric First Aid, a DBS Enhanced Disclosure and Professional Indemnity Insurance. The Requirements by Ofsted closely mirror those required for Nanny Agency registration. You will also pay an annual fee to Ofsted. Nanny Insurance is essential for Ofsted registration and highly recommended when generally working as a nanny. Nanny insurance is for qualified or experienced nannies, doulas and maternity nurses, who care for a child or children aged 0 – 17 and/or pre- and post-natal mothers, based in the child’s or mother’s own home. Nannies tend to work long days – 12 hours plus overtime to allow for parents to arrive home if they are delayed at work is quite normal. Always be clear about what is expected of you and ensure all agreements and expectations are documented within a contract. A Nanny is like any other job and you should be provided with payslips and have tax and NI deducted from your salary. It is highly recommended you use a reputable nanny agency that will have your best interest at heart and ensure you are offered a fair job offer, salary, contract and allowances such as mileage reimbursements, holiday allowance and statutory sick/maternity leave. An agency offers invaluable support to the nanny and their client throughout the duration of a contract ensuring all parties are happy and the placement is a long term and successful one.